This article will explain strongly typed HTML Helpers in MVC, strongly typed HTML helpers render HTML controls like Label, Hidden Input, TextBox, TextArea, DrpdownList, RadioButton, CheckBox, ListBox, Password Input etc. All strongly typed HTML helper depends on the model class. We can create using lambda expression of extension method of HTML helper class. 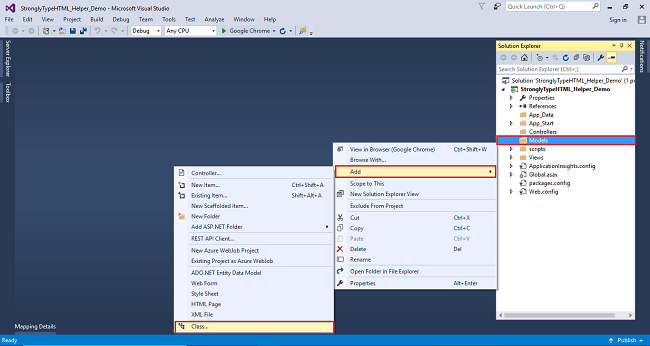 This article will explain strongly typed HTML Helpers in MVC. Strongly typed HTML helpers render HTML controls like Label, Hidden Input, TextBox, TextArea, DropdownList, RadioButton, CheckBox, ListBox, and Password Input. All strongly-typed HTML helpers depend on the model class. We can create this using a lambda expression of extension method of HTML helper class. 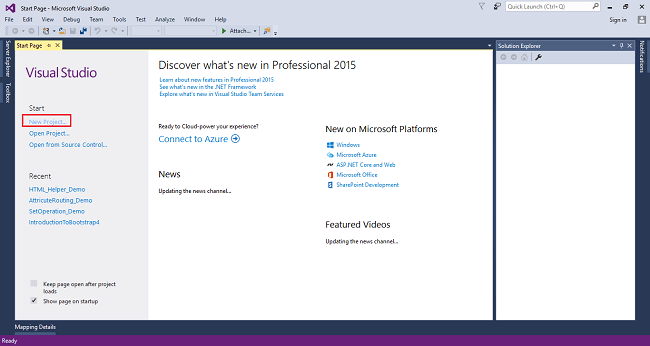 Open Visual Studio 2015 click on New Project and create an empty web application project. 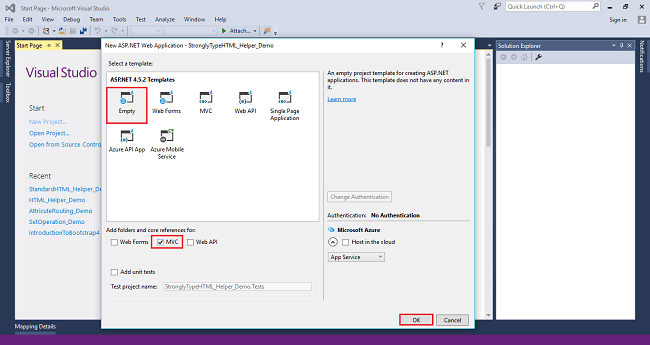 After clicking on New Project one window will appear; select Web from left panel choose ASP.NET Web Application to give a meaningful name to your project then click on OK, as shown in the below screenshot. After clicking on OK one more window will appear. 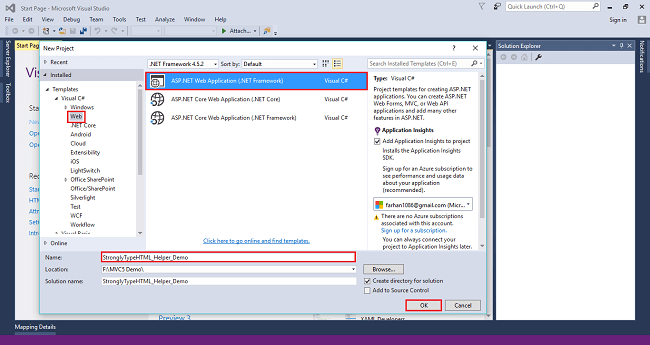 To choose Empty check on MVC checkbox and click on OK, as shown in the below screenshot. 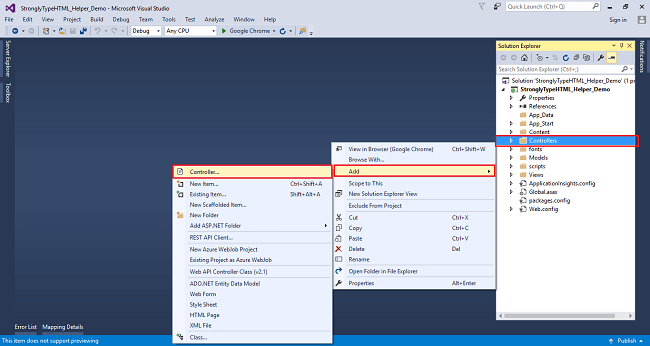 After clicking on OK a project will be created with the name of StronglyTypeHTML_Helper_Demo. Right click on models folder, select add then choose a class and click on it. A window wizard appears. Give a name to your class and click on add. Right click on Controllers folder, select Add, then choose Controller, as shown in below screenshot. 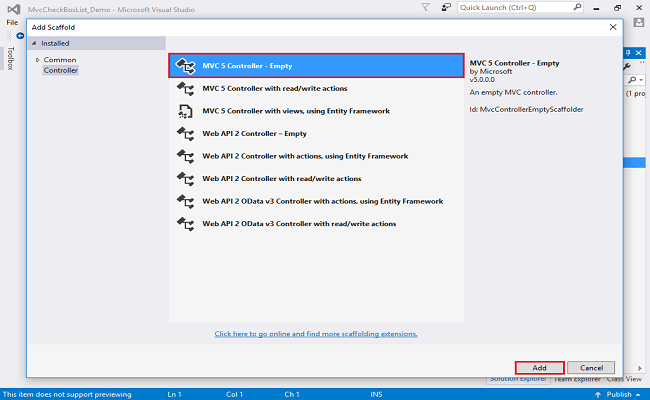 After clicking on the controller a window will appear to choose MVC5 Controller-Empty, and click on Add. 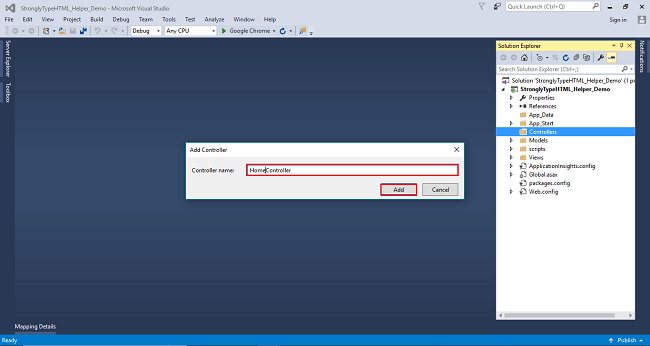 After clicking on Add another window will appear with DefaultController. Change the name HomeController then click on Add. HomeController will be added under Controllers folder. Remember don’t change Controller's suffix ;for all controllers change only the highlight. Instead of Default just change Home, as shown in the below screenshot. 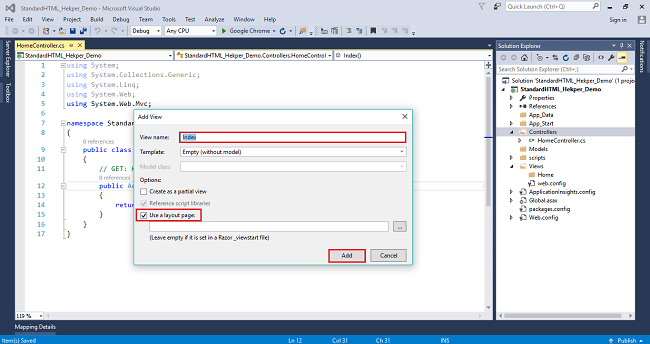 Right click on index action method in controller. The Add view window will appear with default index name check (use a Layout page), and click on Add, as shown in below screenshot. The view will be added in views folder under Home folder with name index. Hidden helper is use for hidden HTML input like employee ID. The label helper method responsible for creating HTML label is on the browser. It has two parameters: first label ID and label value. The TextBox Helper method renders a textbox in View that has a specified name. We can also add attributes like class, placeholder etc., with the help of the overloaded method in which we have to pass objects of HTML Attributes. RadioButton helper method is responsible for creating a radio button on the browser. 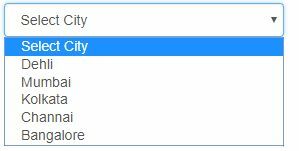 It is rendered as HTML radio button. RadioButton Helper method takes three parameters; i.e., name of the control, the value, and the Boolean value for selecting the value initially. The ListBox helper method creates the HTML ListBox with scrollbar on the browser. 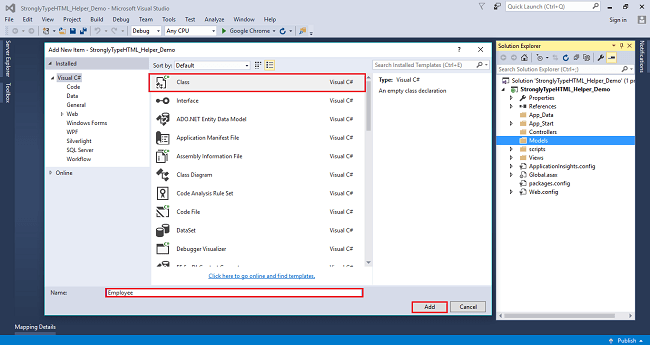 It allows you to choose multiple values by holding ctrl.